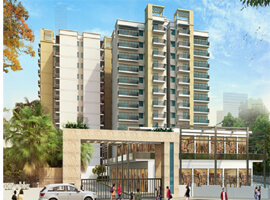 Adani Oyster Grande in Sector 102 Gurgaon is a new residential project on the proposed Dwarka Expressway. It is close to proposed metro station and existing Dwarka Sec 21 Metro Station. The Indira Gandhi International (IGI) airport and Mehrauli Gurgaon Road (MR Road) lie within a short drive of 15 to 20 minutes. 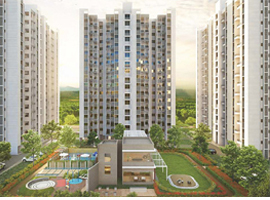 Spread over 19 acres as part of an overall development of 40 acres, Adani Oyster Grande offers you a choice of 3BHK, 3BHK+Study, 4BHK and 4/5BHK Penthouses in serene living environment coupled with the best amenities, high-class infrastructure and world-class fittings and furnishing. Offering you the perfect blend of comfort, style and luxury the Vastu friendly apartments come with an exciting array of amenities such as a state-of-the-art club house with swimming pool, tennis courts, jogging tracks, cafetaria, lounge and multipurpose hall. The beautifully landscaped gardens where you can relax during the evenings. Last but not the least, Oyster Grande Sec-102 also ensures 100% power back up and 24/7 water supply.